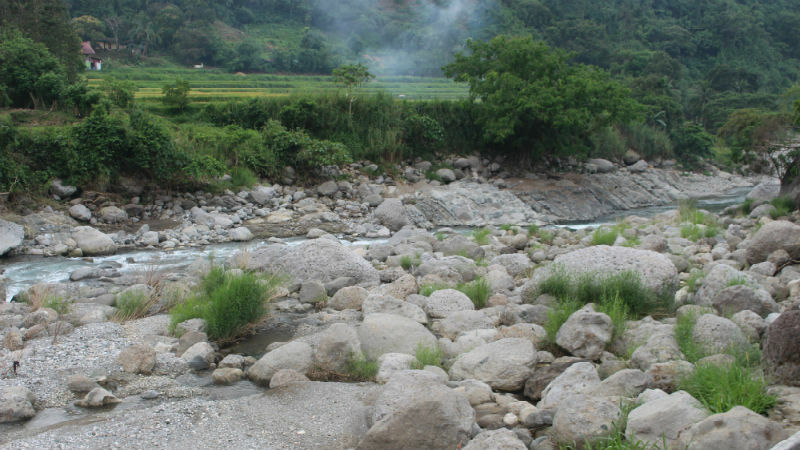 LA TRINIDAD, Benguet – The Cordillera office of the National irrigation Administration (NIA-CAR) disclosed that four major river systems in the different parts of the region started to register significant reduction in their water supply which now pose serious threat to the supposed robust growth of the agriculture sector, especially rice and corn plantation areas regionwide. NIA-CAR regional irrigation manager Benito Espique said that based on the monitoring conducted by the agency on the inflow of water to the different irrigation systems strategically established in the region, the Abra, Apayao, Chico and Ibulao rivers have already recorded 25 to 30 percent reduction in the water supply coming from upland communities serving as headwaters of the said river systems. “There is still available water for irrigation purposes but the irrigated areas might continue to be reduced if the water inflow from the river systems will continue decreasing in the coming months due to the expected drought,” Espique stressed. Based on records obtained from the NIA-CAR, some 58 hectares of corn and rice plantations in Abra and Kalinga were said to have already been affected by the initial salvo of the dry spell but efforts are being done by the agency to provide assistance to the affected farmers in coordination with other concerned government agencies. The NIA-CAR official claimed the provincial irrigation offices in the different parts of the region are now closely monitoring irrigation water availability in the different communal and national irrigation systems to ensure that farmers are able to get their supply of water for the dry season. According to him, the use of rain catchment basins or small water impounding systems is now being piloted tested in Kalinga and if successful, can be replicated in other areas in the region to help farmers hurdle the negative impact of drought to their crops that should be harvested during the dry months. Espique said the agency is in close coordination with the Cordillera Federation of Irrigators Associations to effectively address the drought-related problems of farmers in the different provinces during this dry spell that is expected to extend up to the middle part of this year. Apayao Vice governor Remy Albano, president of the regional federation of irrigators associations, claimed there are some 8 irrigators associations in the different parts of the region working on some over 56,000 hectares irrigated lands in agriculture-producing areas regionwide. Among the national irrigation systems that are operational in the region include the Upper Chico river irrigation system in Kalinga, the West Abulog River irrigation system that strands the provinces of Apayao and Cagayan, the Hapid irrigation System in Ifugao and other similarly situated irrigation systems in the different provinces. Espique appealed to the thousands of farmers in the region who rely on the water supply from existing communal and national irrigation systems to wisely use the available supply of water to help in maximizing the available water in the systems to hurdle the current dry spell.